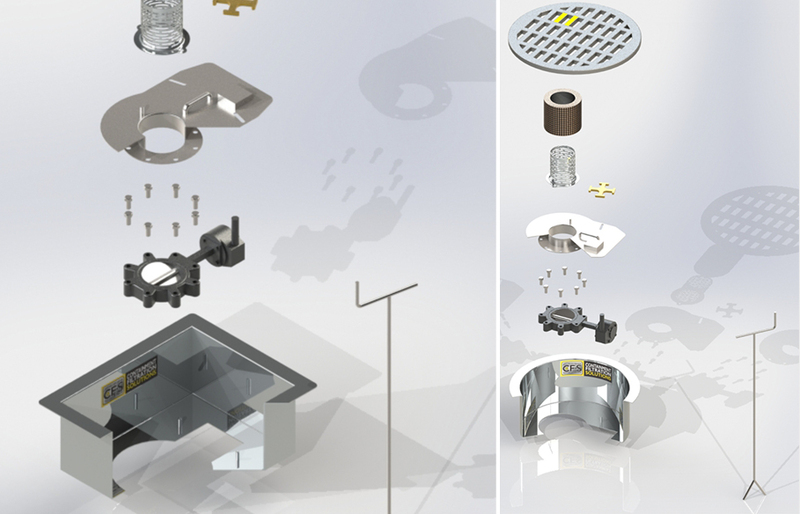 The CF-S’s Drain Guardian™ is a platform that offers many options. This platform can give the user the ability to filter, stop, or reclaim any losses before it can enter into the storm water system. This platform is a low impact design (LID) that is mechanical in nature therefore working year round unlike most biological systems that become less efficient during colder seasons. It conveniently gives users the ability to control, filter and,or stop the flow of loses from entering into the existing stormwater system. By utilizing the watershed and topography of facilities hard surface areas, The Drain Guardian platform can free up operations that have been historically held captive to unique areas due to regulatory requirements. Constructed of made of 12-gauge stainless steel, the Drain Guardian design is rugged and built to withstand the elements. The Drain Guardian platform components are computer cut to ensure the finest precision and assembly. Enter your name and email to download content. Contact us with your drain challenges. The Butterfly valve is the original, field tested for many years, and proven to be tough and reliable for all control and containment needs. This solid design has been tested to with stand pressures up to 200 psi and is resistant to all hydrocarbon mixtures and many chemicals. Both valves styles offer two main ways of actuating or cycling the valves. Both share a simple key that can be placed through the grate to the valve for quick and easily operations. The Crows foot is a simple wheel. This design can be activated by hand or with a key. The Indicator rod is another simple but very different actuation that gives the user the ability to locate and operate the valve even if the storm inlet has become submerged. The indicator rod can be cut to any desired length above or below the storm grate allowing the actuation key to be guided into the valve for easy and quick operations. Filtration is another key aspect to why the Drain Guardian can prove to be a valuable tool in your operations. The Drain Guardian offers basic and staged filtration options that will aid and increase filtration rates. TMDL (total maximum daily load) is becoming more stringent on all levels (local, state and federal. CF-S filters achieve the highest level of treatment while maintaining flowrates to ensure optimal performance. CF-S has spent countless hours researching to find the right combinations of medias to provide the optimum in stormwater filtration. Many different filter medias are available to remove a everything from sediments, hydrocarbons, heavy metals, phosphates, ect…. The Weir Filter option is an additional method of adding yet another layer of filtration, increasing contact time, and ensuring maximum filtration. Several types of booms are available to aid in the capture of specific elements. This is the latest upgrade made available to the Drain Guardian platform. 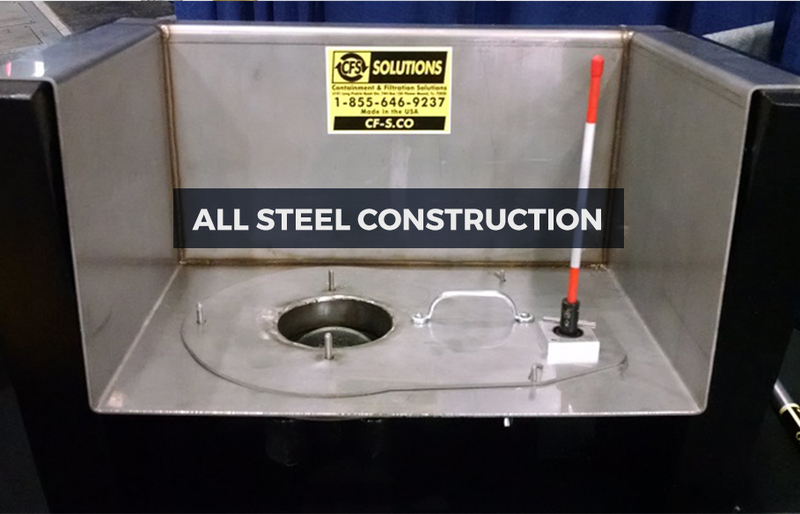 This option is mainly used in washbay scenarios, to give the user the ability to utilize any hard surface area draining to a common drain as a washbay. This was developed as a means of making the reclaim process more seamless. 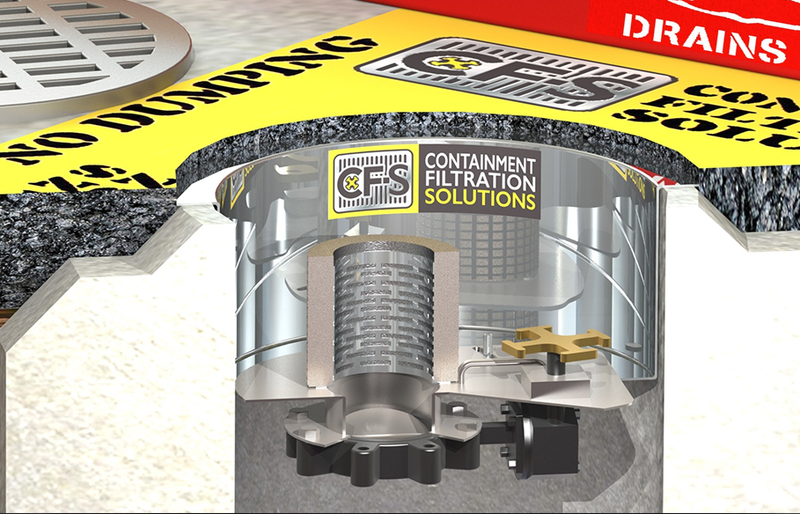 CF-S™ offers 100% Total Storm Drain Protection, Compliance and Service Program.